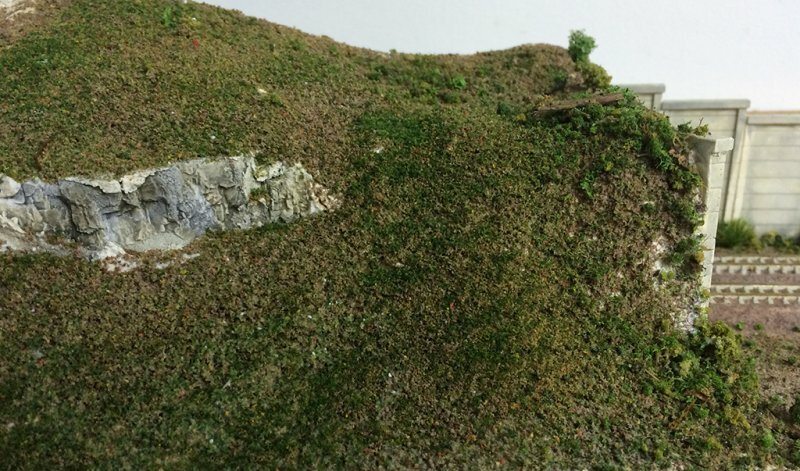 Today I ballasted the track at the Intermodal yard entrance to the tunnel, and added some basic ground cover. 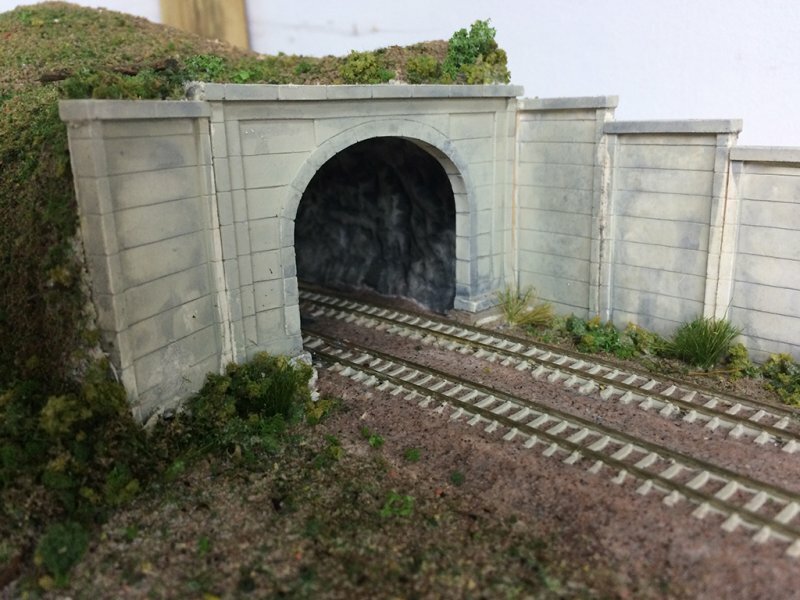 I also added an interior to the tunnel, so when looking into the tunnel you can see the tunnel interior wall instead of just bare plaster cloth. A lot more scenery to go, but I’ll finish the hilltop track first, then I can start on the staging yard.